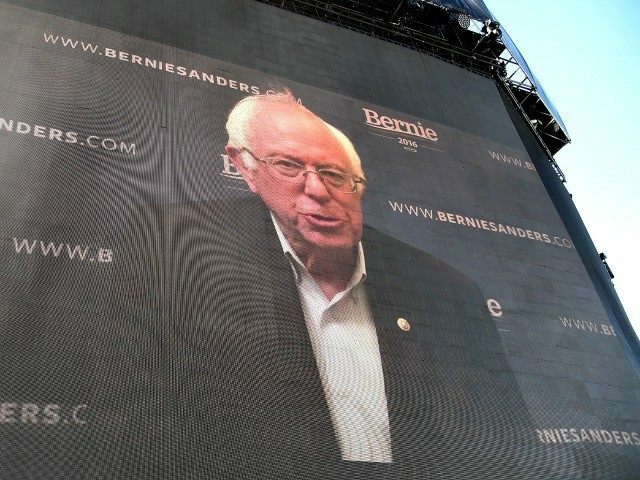 Canadian songstress Grimes used a huge graphic of erstwhile Democratic presidential nominee Bernie Sanders as a backdrop during her set at the Coachella music festival Saturday night. Grimes’s set was also notable because other pop superstars like Taylor Swift and Lorde were seen dancing in front row. Grimes is on the cover of the current issue of Teen Vouge. For those not familiar with the work of Grimes, enjoy her song stylings in the video for her pop ditty Kill v. Maim, which has over five and a half million views on YouTube.